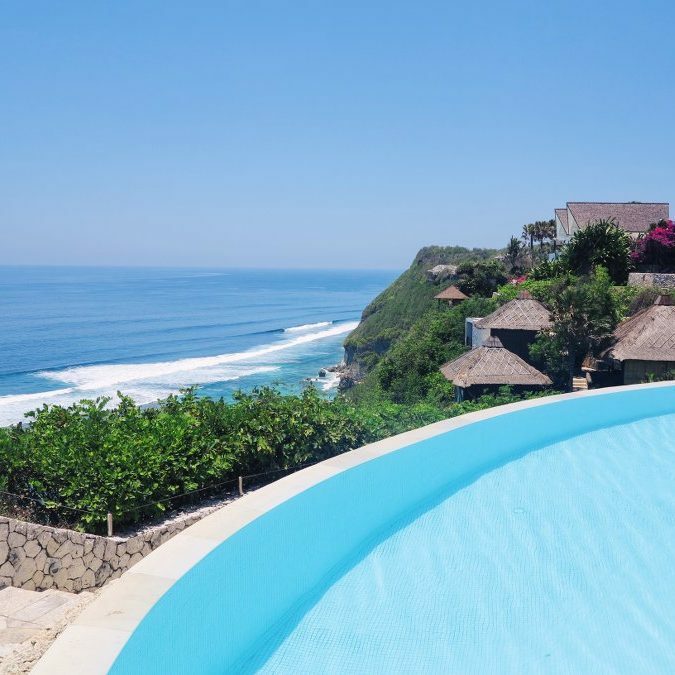 The Grand Cliff-Front Residence in Uluwatu is your mansion away from home with a luxurious ambience and intoxicating views that can’t be beaten. Only a 40 minute drive from Denpasar airport and 1 hour away from the busy life in Seminyak lies some areas of Bali where the culture still remains undisrupted. 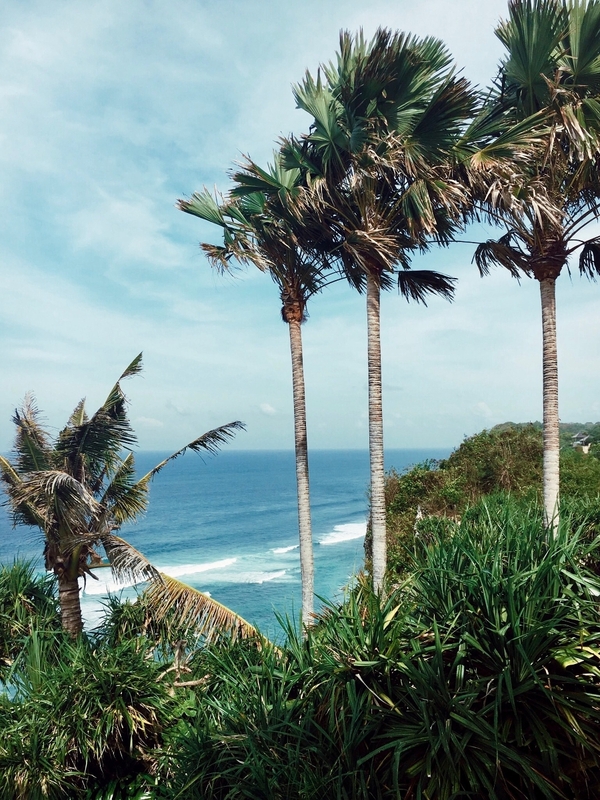 Often people think of Bali’s culture paradise in Ubud but we can shed the light on Uluwatu as an area for much more than just surfing. 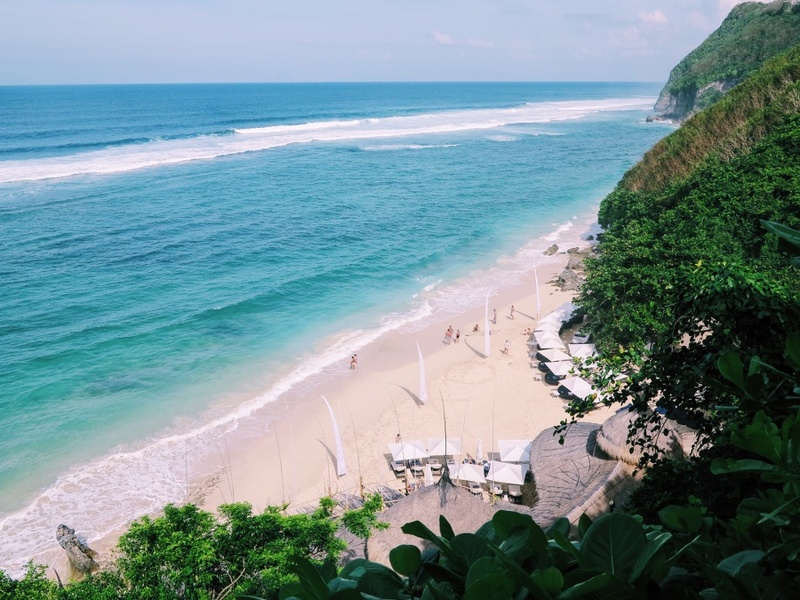 Uluwatu on the Bukit Peninsula in Bali’s south is your white sand, blue water post card heaven you were looking for when travelling to the tropical island paradise. With property development moving slower than in the buzzing coastal towns further north, it promises untouched, pristine beaches and hidden culinary gems that are waiting to be explored. 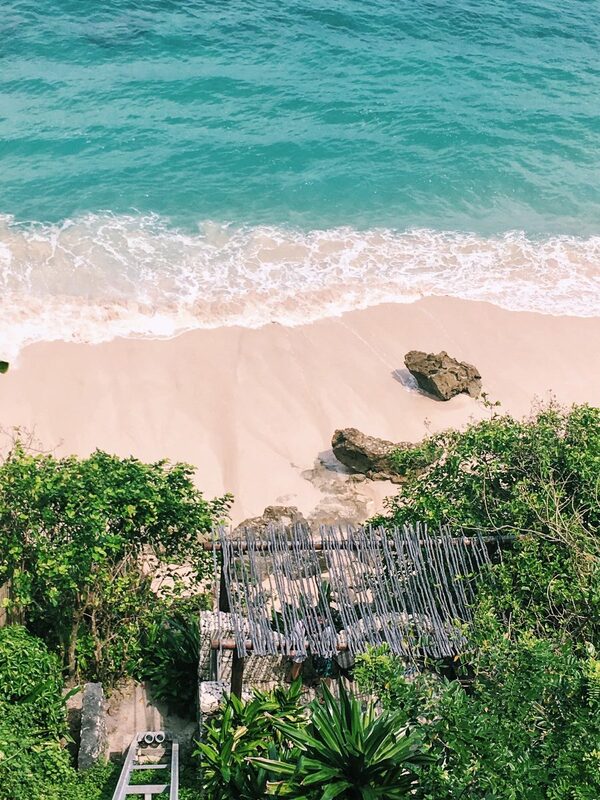 The Uluwatu area, from Balangan to Pandawa, is on raised clifftops, giving these areas a unique perspective from the comfort of your accommodation. While this view is spectacular, it does mean that being so high up usually means a 5 minute trek down usually down stairs to the paradise beaches, but take your time, stop and rest and enjoy the view that changes perspective with each step. Watch the passing by monkeys (careful of yours belongings) as they scroll the cliffs in search of bananas or a tourist’s camera. 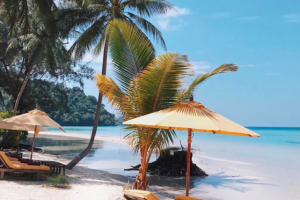 But trust us, the effort is absolutely worth it when you take your first step onto the glistening wave kissed sand and dive into the blue depths into a rich marine life where even the youngsters will spot the rainbow schools of reef fish. And if a cliff climb sounds too daunting for the faint hearted fret not, the luxury beach resort of Karma Kandara have built a cable-cabin in an environmentally ergonomic fashion slopping in and out of the natural crevices, knolls and points of the coastline and to save you the trouble to and from the beach. It was here on Karma Beach, one of Bali’s best beaches that we stayed at The Grand Cliff-Front Residence overlooking the white sand beaches of the Bukit Peninsula in a villa that had been inspired by its natural surroundings, fusing design elements from both local Balinese homes and the beautiful white structures many of us are accustom with on the Greek Islands or Ibiza. The 5-bedroom villa was absolutely breathtaking from the moment we entered the super-sized gates draped with flowers and overhanging greenery. The 3-storey luxury residence was built into the natural contours of the cliff allowing it to be both spectacular but tasteful in such a beautiful environment. 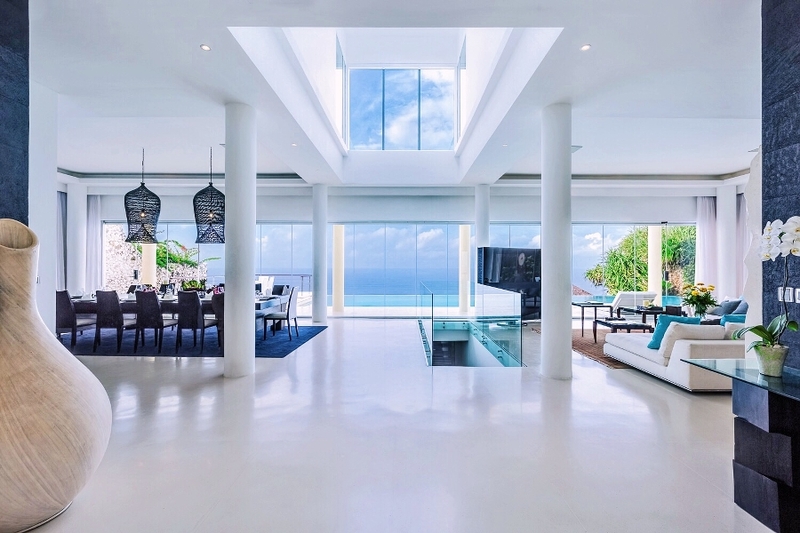 The villa had 5 large bedrooms all with their own ensuites and the living areas meant my fellow companions could be lost in their own worlds enjoying the cinema, playing billiards on the top level or swimming laps in the 20 metre infinity pool edged alongside the cliff. 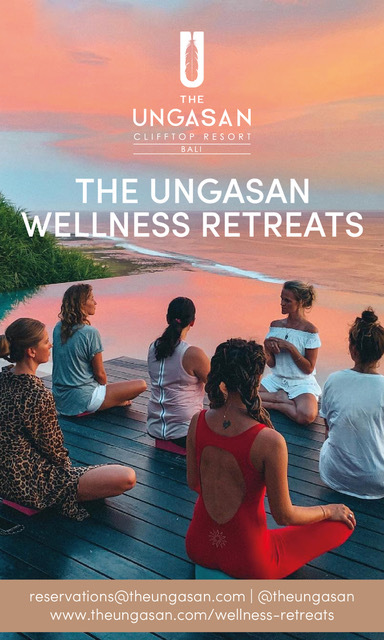 I chose to relax in the hot spa, which may sound absurd in Bali, but with the villa literally being on the cliff, a refreshing trade wind cooled us down allowing us to sip cocktails and watch the sunset from every angle of the residence. 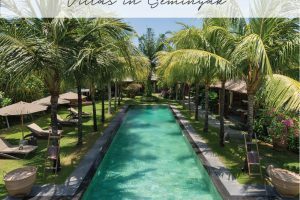 For those that have always traditionally chosen hotels over the villa experience, you need to understand that nothing of the 5-star service expected from hotels is lost on villas like this. Many of the staff that weighted on us hand and foot have previous experience at the big named international hotels and have opted to work for a private villa for the more personal touch. The service on offer was amazing and we felt everything had been tailored to our every wants and desires. 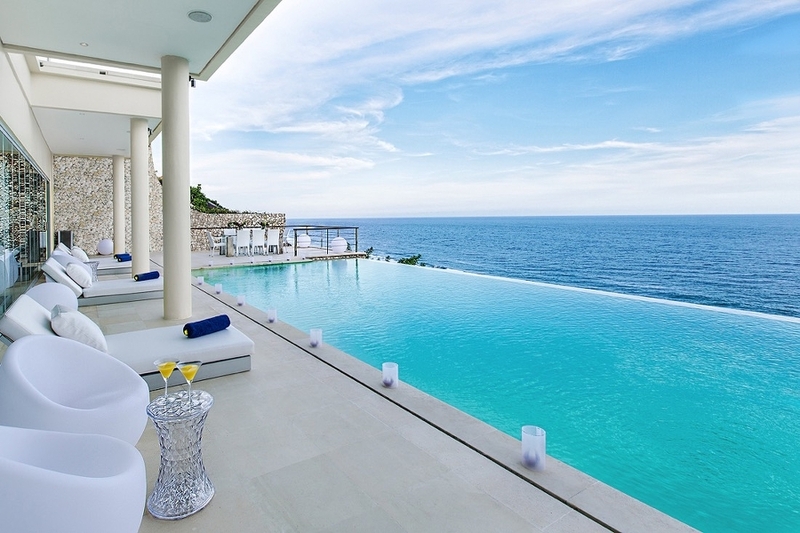 The Grand Cliff-Front Residence in Uluwatu your a mansion away from home with a luxurious ambience and intoxicating views that can’t be beaten. It has a 20-metre infinity swimming pool, a cliff-side private spa, 5 spacious bedrooms all with ensuites and ocean views, a comfortable lounge-area, a dramatically beautiful dining table inside with the comfort of air conditioning, or outside dining with the sensational sea-breeze, all seating 10-12 guests. Karma Beach Club – positioned on one of Bali’s most beautiful beaches with international DJ sounds, sunbeds, delicious food and cocktails. Di Mare Restaurant – a Greek-inspired open-air Mediterranean restaurant over looking Karma Kandara’s famed infinity pool and dramatic clifftop. 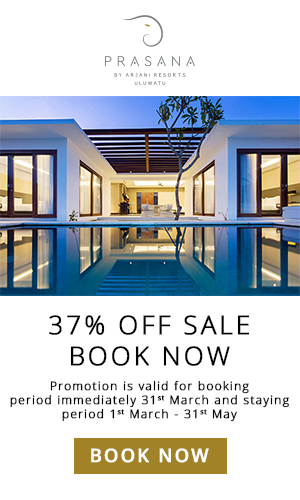 Karma Spa – one of Bali’s best spas with the most incredible views. 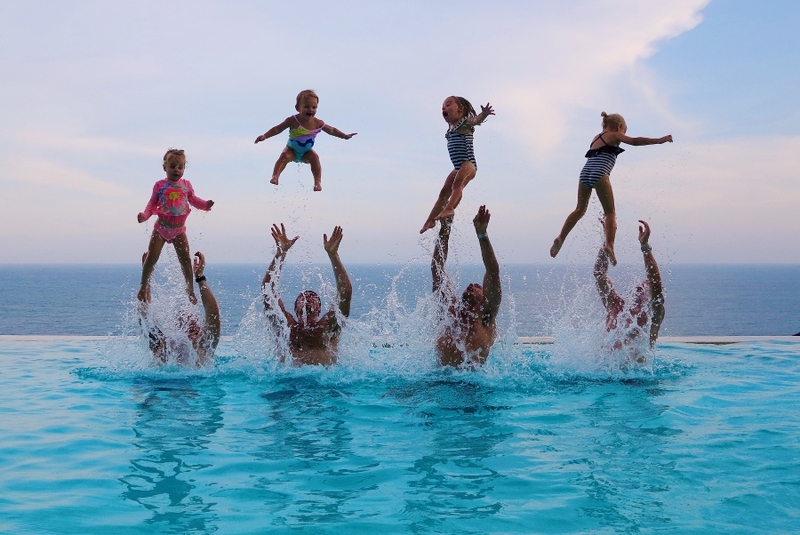 Kids Club – you will be granted free access to the resort’s air-conditioned 3 Monkey’s Kid’s Club. The villa was breathtakingly beautiful. The breakfasts were delectable. Our feet in the sand for lunch. And a private feast for dinner, as the chef dazzled our appetite with the local seafood cooked to perfection. All the hustle and bustle of the usually busy Bali floated away as we took it in turns, rotating between the massage beds, the spa, the pool and the balcony as we watched the golden-pink Balinese sunset lighting up the sky. The smiles couldn’t be wiped off our faces as we wined and dined and laughed until our belly’s hurt, until we sadly realised we had to leave. With our hats in our hands and heads rested on the seat of our private driver’s car, our minds wandered off to the priceless memories created of a holiday well spent with family and friends. 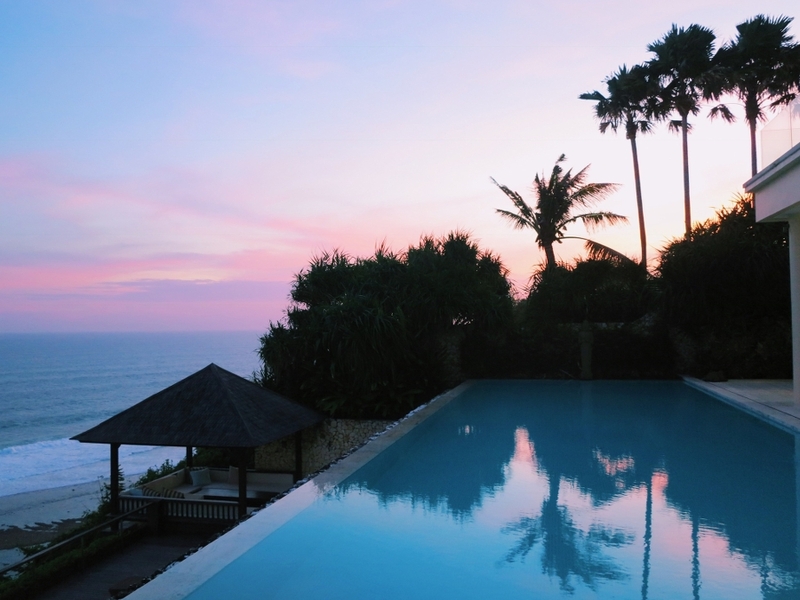 This Bali luxury villa review was written by James & @kelly_beckwith of The Asia Collective.